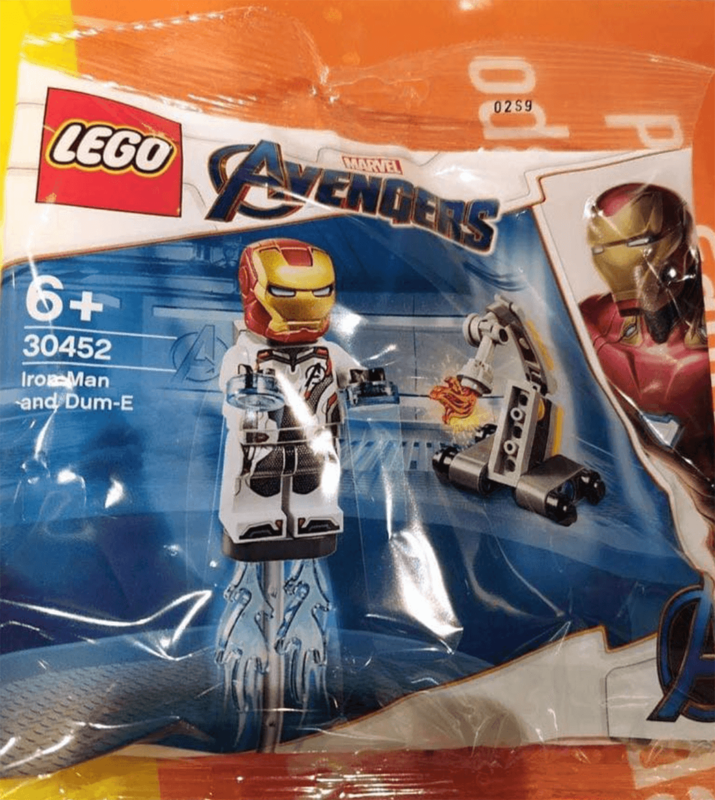 Lego 30452 Iron Man and Dum-E 組合屬於 Lego GWP ( Gift With Purchase )非賣品. 現時 Lego Store 中國地區換購方法已經曝光, 只要購物滿指定金額便可以免費獲得. 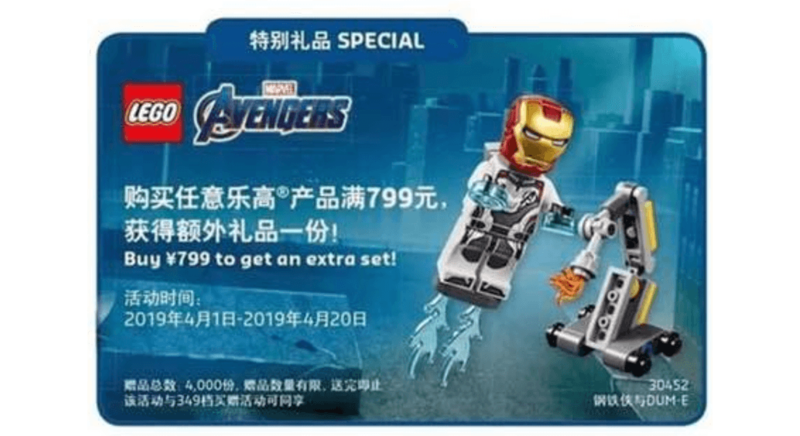 Lego 30452 Iron Man and Dum-E 屬於 Lego Avengers: Endgame 電影主題系列之一. 於Lego store購買指定金額才可以免費獲得. LEGO Certified Store 中國地區有關折扣優惠已經流出, 只要在2019年4月1日至4月20日購物滿CNY 799 便可以免費獲得. 留意數量僅4000份, 數量有限, 換完即止.